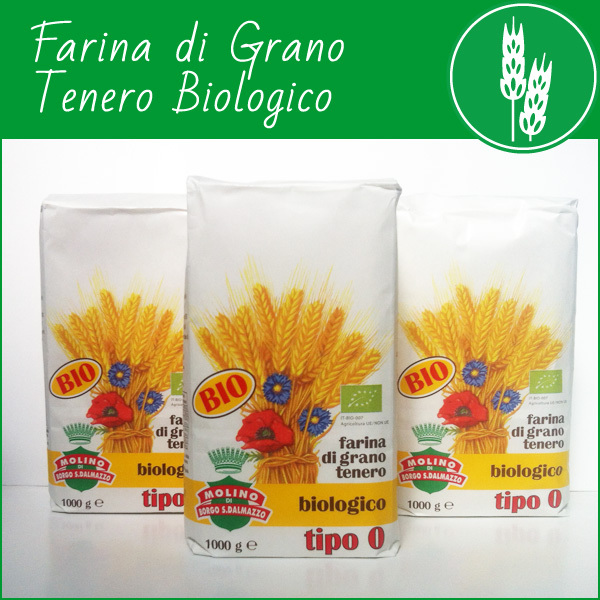 To choose our Linea Bio (Organic products) is to choose products without residues of pesticides or chemical fertilizers. A conscious choice, giving importance to organic farming without negative impacts on water, land and air. 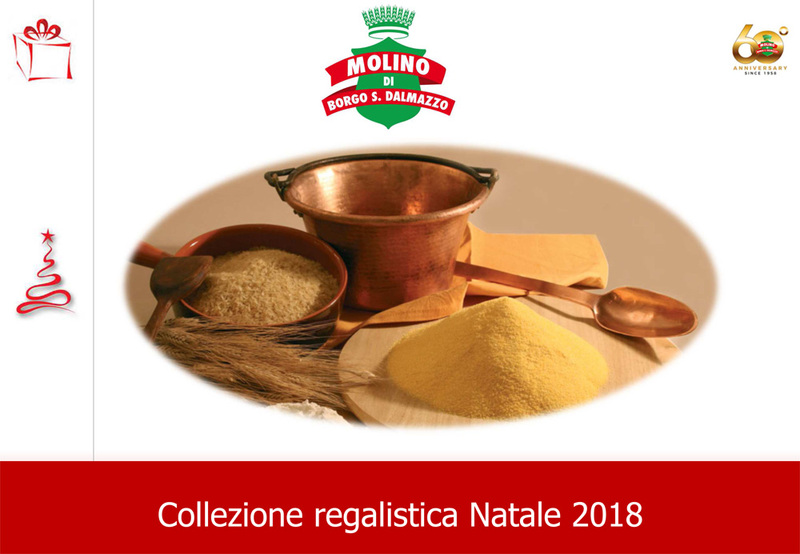 The Classical Organic Polenta by the Molino di Borgo San Dalmazzo is the most natural way there is to enjoy a dish of Italian cuisine! 1kg of Polenta is enough for about 8 people. Put salt in 1 liter of water and boil it. While water is boiling, slowly pour in the corn flour and stir constantly for about 40 minutes. The treatment of pre-cooking steam, ensures that all the nutritional and organoleptic properties of corn flour remain unchanged. 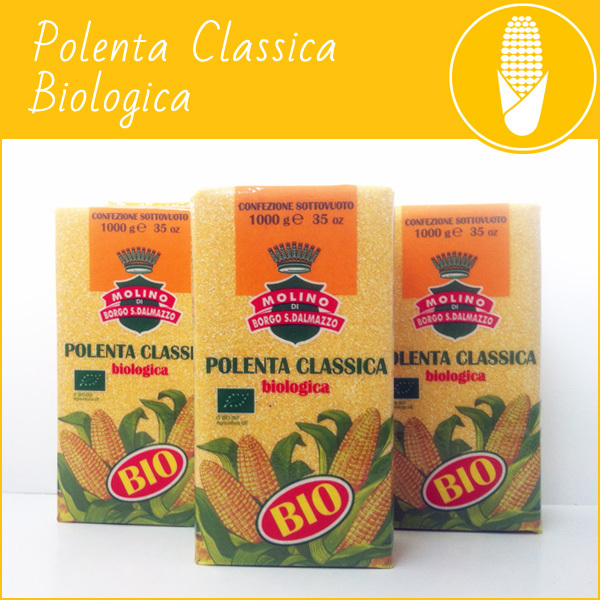 The Instant Organic Polenta of the Molino di Borgo San Dalmazzo: natural and fast! 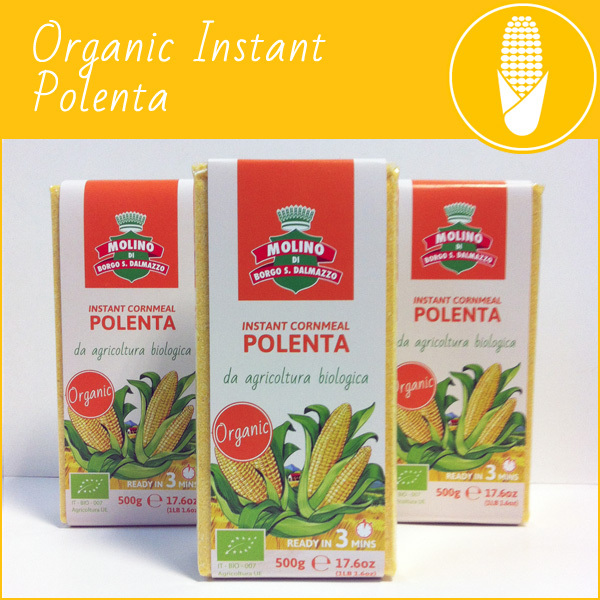 The Instant Organic Polenta of the Molino di Borgo San Dalmazzo is the fastest way of eating that is natural! Biological pre-cooked corn flour. 4 servings. Season it with salt and boil 2 liters of water, slowly pour the contents of the bag and mix. Ready in 3 minutes! The wheat flour type 0 is a multi-use mixture of grains, Fine grinding and high extraction rate: it is used, that is, about 80% of the grain.